Hi again Dr. Free. You may not want to accept this comment. I just wanted to chat with you about this post. I felt a synchronicity about this comment I wished to share with you. I recently read James Redfield’s take on this. He was discussing European Mechanization and Materialism as concepts which formed the western world’s thinking. He concludes on the psychological demise of a western culture that arose “where everyone was defensively trying to control and dominate everyone else.” And having been a Caucasian student of Pan-Africanism, I feel I can say that this eruption of thinking is what you were thinking as far as it being European in nature (ie. western mechanization and materialism being the culprit). I didn’t see anything in the past which described identity wars in my studies. It seems to me that ancient Akebulan and Kemet, respected positions for the most part, that each person had a role. My thesis papers were on Afrocentricity and US Educational Curriculum (another story) and Romance: Friend or Foe where I didn’t find the game playing that exists now among the ancients across cultures. There was respect. As far as if it is possible to accept separate identities, Fredrick Niche said a person cannot understand what they do not have relative experience of. I see the future having a need to help people have relative consciousness experiences in order that they can see more. One would have to have expanded consciousness experiences to be able to embrace such a concept as Oneness in this case of Niche’s take. And you certainly answered this in your number 5 questioning. As an evolutionary I love that. I was wondering however about true unity in this Age. As an empathic, while I can love all, sometimes my gut goes haywire in fear for no reason. I feel things I can’t explain so I tend to be reclusive. Its hard to keep my evolutionary vibe going among robotic collective expression and almost impossible to share. Like you, maybe writing this and thinking about it will help me move further ahead in my own evolution. Thanks for letting me share with you for a moment. Respect! Thank you so much for your post. I’m glad to know it resonated with you. Growth is possible as we share and respond honestly and respectfully. I honor your journey and purpose in this time-space reality. It seems we have similar questions about how we can achieve oneness. You said : “I didn’t see anything in the past which described identity wars in my studies. It seems to me that ancient Akebulan and Kemet, respected positions for the most part, that each person had a role. ” Significant point! The construct of race had not been created. Also, You said : “As far as if it is possible to accept separate identities, Fredrick Niche said a person cannot understand what they do not have relative experience of.” This is a profound comment. Our personal experiences can definitely influence how we conduct ourselves and how we perceive the world. Can a group of people who are presently and historically seen as superior understand the struggles and reluctance of an oppressed and suppressed people –and expect to fully love all and embrace oneness.? Additionally, if we are the oppressed and suppressed, are we limiting ourselves by living in the pain? Should we allow the emotions (energy in motion) to simply move through us, learn the lessons, and evolve? Thanks for the follow! Thank You for allowing the conversation to go public. I also honor your journey. To add to your questioning on oneness, emotions and learning lessons: In my writings I too embrace the word play of ‘energy in motion’ and am writing an entire chapter about Emotions being ‘Energy In Motion’ and using it as an evolutionary principle. Again with Niche, each audience will perceive this ideal uniquely but there are many options. I feel we can do as you suggest to allow emotions to move through us, learn the lessons and evolve or we can come to utilize this ‘energy’ in a new way. For example, change the old stories from his-story to new personal stories. We do not have to keep telling old stories. In the new story we can say anything we’d like, such as emotions becoming energy in motion. Starting with the question of what is our ‘energy in motion’, we can come to know that emotions are an ‘energy’ and we can then transmute negative energy to a more usable fuel for creating new ideals, (burn off the old ideals and start spreading new collective thoughts). 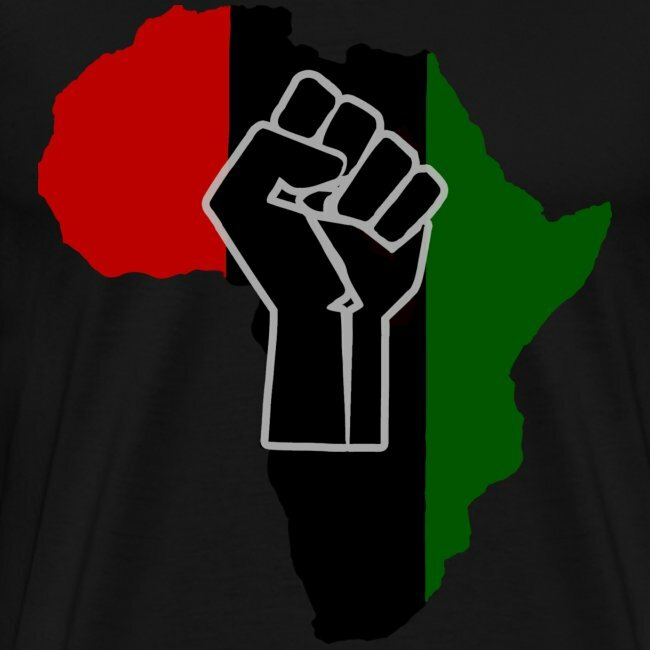 I love that Pan-Africanism changed the story that in regards to oneness we are all one already even though we do not yet see it. (That is a longer story but one that does well to continue to grow in the public eye). Racial separation is only a story made by fear, although sad and brutal. What if we were all one back then and only a story separated us? How would we replace or change this story? Each will have there unique version, but it is a great exercise in developing new thinking for healing. This does not mean accepting or forgetting what happened and what is happening. It is a ‘rise up’ story. Like the pyramids contain one Pharoah’s story over another and another. It will take time to make it happen, but as Tracey Chapman sang: The whole world is broke, time to make a new beginning. Make new signs, new symbols, new language – and, while we don’t really take a look at progress being like this, we can create new beginnings with a new story. It takes new leaders again and again who will innovate change with a new brain cleansing story. Imagination, quiet as it is kept, belongs to the Magi within us all. Peace and Much Respect! “Racial separation is only a story made by fear, although sad and brutal. What if we were all one back then and only a story separated us? How would we replace or change this story? Each will have there unique version, but it is a great exercise in developing new thinking for healing. “……..you ask thought provoking questions. I’ve pondered much about the authentic truth you’ve expressed. Thank you for your posts. I came across your wonderfully thoughtful and incisive blog post, and I wanted to take this brief opportunity to follow up with you on some of your questions. I am delighted that you honor my journey and contribution. I am happy to say that I equally honor yours. By way of background, the article you read was a distilled version of some chapters of my most recent work of channeled wisdom, Bending Time: The Power to Live in the Now. And many of your questions are ones that are raised expressly in the book, because initially I too balked at this notion of consciousness. Allow me to offer a few answers, as I so appreciate the kindness and generosity with which you engaged with my work, and I want to do the same for you. The first you posed was whether it has been easier for me, because of my European features, to separate from identity because either I never had that identity taken away from me, nor longed to know it fully. The answer, as you likely would anticipate, is far more complicated than a simple yes or no. With respect to race, I fully acknowledge that I have benefited from white privilege; I have never had to face any question about my right to belong, my capacities or my basic humanity because of my skin color or features. As a gay man, however, my right to belong, my masculinity, and my right to love have been challenged, at different points and in different ways, both socially and in my own personal experience. No one person’s experience is ever interchangeable with another’s, so I don’t speak for all gay white men, but I know what it means to feel like an outsider whose best approach to survival was to mask my desire or to feel the pain that my capacity to love another would always be regarded as somehow inferior to a true, heterosexual love relationship. All of which is utter hogwash. And for many years, as a former professor of Spanish literature with an emphasis on gender studies and queer theory, much of life was focused on LGBTQ emancipation. Even as my consciousness evolves, I in no way deny my history as a gay man, nor my history as a white male, nor the extent to which all three of those categories intersect in varying ways with privilege and social opprobrium. They are my history, lived experience, and my mind and body carry those memories around with me. So with respect to personal experience, none of it is to be denied, pushed aside, ignored. 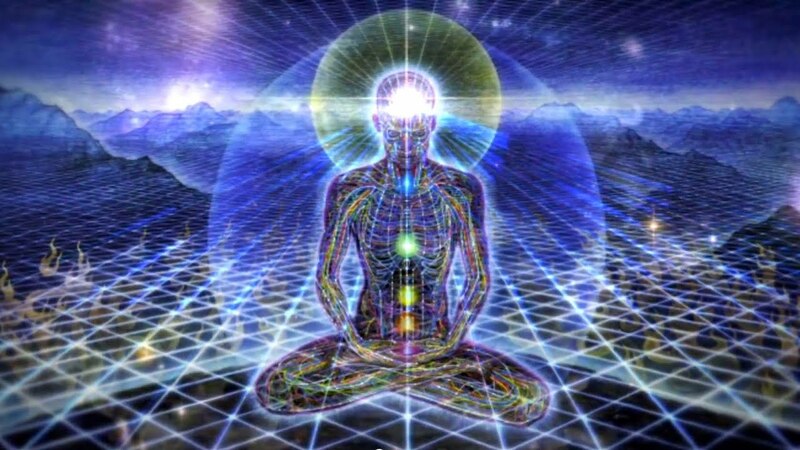 The second model of consciousness, which you so eloquently summarized, sees them as pieces of ever-evolving awareness/consciousness, that is not obligated or defined or limited by that past, even if that past remains a part of that self. And so if someone were to say, is Patrick gay or straight?, I would answer that I am “gay.” But for me, gayness is not some core principle that requires that every part of my life somehow reflect that. It is not a claim to belonging in such a way that my relationships, my personal presentation, my spirituality somehow need or must be an extension of being gay. And I don’t regard my place in the world as requiring that gayness be fully accepted by everyone. I know that I belong because I am alive and here. Unfortunately, for many, if not most, people, their lived experience, as you point out, is one in which identity seems like a necessary foothold, something to hold onto and defend, to protect one’s existence because it has been taken away from them or they’ve been denied a sense of self. But according to my Guides, our identities are all too often creations designed to protect us from a sense of otherness, to deny our common humanity, our shared oneness. The very categories of race that we use today have a historicity of their own — as creations designed to catalogue and place in a hierarchy the diversity of human expression. White people needed race (and still do) to protect their own fragile sense of belonging in this world, and have used it for such deleterious ends, to dehumanize, torture and suppress others who were not deemed “white.” As such, it is entirely normal, and indeed laudable, that those whose humanity has been questioned to challenge those notions by claiming pride and power in that identity. That has been equally true for the LGBTQ community, with our emphasis on pride. And when communities face literal death from police brutality and racism that says that black lives don’t matter, it is a natural and powerful response to say that black lives matter. But those are responses to a model of identity by a dominant group that requires and demands that the other to be rejected. And so the second model of identity is really about recognizing our oneness is a way that doesn’t mean that our differences cease to exist, they just don’t cease to exist as a means of defining our place in a world that needs defending, because our places in this world don’t need defending or justification. That is indeed a process, and indeed might even seem aspirational more than possible or even plausible in our world today. And the burden is on the dominant group to let go of their own attachment to identity — white people need to address whiteness and privilege, straight people need to address heteronormativity, and men need to address patriarchy. Nevertheless, each of us is capable of doing this work, on an internal and energetic level, so that we live a life in which we emotionally and intellectually know that our humanity, our right to belong, our basic goodness are birthrights, are not up for discussion or debate or negotiation, because we are imbued with the life bestowed upon us by our Creator. And do I know exactly what the world would look like (this is a version, I think, of the question you asked about how African people before Kemet conceptualized identity)? I do not. But I know, from a spiritual perspective, that it doesn’t mean the erasure of the many characteristics that we associate with men or women or black people or white people or gay people or straight people. We wouldn’t be reduced to some sort of dull conformity or sameness. Those differences would appear, not to separate us, not to say, that’s not me, but as ever expanding possibilities of what it means to be human. If difference didn’t threaten, we wouldn’t need a boundary in the form of identity that says, that’s not me, to be drawn and reinforced, with all of its systemic effects. So, in this way, one’s background wouldn’t cease to be relevant, and we wouldn’t have chaos or sameness. We would see our aspects of ourself as pieces of something else, a form of consciousness that recognizes that we have particular experiences in our bodies, and those differences would be a source of awe, wonder, and curiosity, not fear. We wouldn’t need to deny our history, where we can from, but how those pieces would make meaning for the self would be different. How we think of ourselves and others would shift dramatically, as we would approach each other in our “fullness” (the word used most often by my Guides for another person’s self beyond identity categories) — all of the characteristics that make you up now as well as all of that which is beyond form and beyond our five senses. I would see you, and you would see me, and see all of these pieces, as different ways of the Divine taking form, without reducing each of us to those characteristics or experiences. No erasure, but no reductionism, either, but rather a celebration of the multiplicity that the human form can take. I recognize that the origin of my writing, as channeled material from a group of ascended masters, may be unfamiliar or unconvincing; I encounter that frequently. Nevertheless, if you’re interested in reading the book, I’d be delighted to send you a free copy. You can send my your information at patrick@patrickpaulgarlinger.com. Thank you again for your considerate engagement with my work. I hope my response expresses adequately my deep respect for your own path. Mr. Patrick Paul Garlinger, Thank you so much for your thorough response. I am excited to have you share! I’m glad The Universe saw to it that you would “come across” my blog. It cannot get any better when information comes from a first-hand resource. Your post brought clarity and a reason for more contemplation. (Doesn’t take much to motivate me to ponder 🙂 ) I will continue to revisit your words. While your comments were thought-provoking. I found the portion following very interesting. And so the second model of identity is really about recognizing our oneness is a way that doesn’t mean that our differences cease to exist, they just don’t cease to exist as a means of defining our place in a world that needs defending, because our places in this world don’t need defending or justification. That is indeed a process, and indeed might even seem aspirational more than possible or even plausible in our world today. And the burden is on the dominant group to let go of their own attachment to identity — white people need to address whiteness and privilege, straight people need to address heteronormativity, and men need to address patriarchy. I truly appreciate your candor and transparency. I sensed the gentleness and sincerity of the energy in your post. Previous Previous post: Love Yourself First!